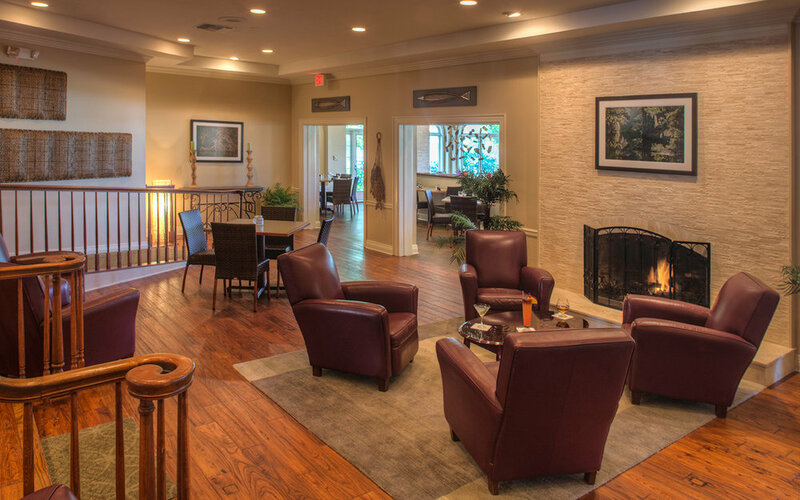 Central Florida golf resort and spa in Crystal River is a one-of-a-kind escape from your busy day-to-day routine. Originally constructed in 1962, it was brought into the limelight by wealthy Texas developer W.W. "Will" Caruth Jr., a man who focused just as much on developing good will and harmony with nature as he did on developing new properties. In fact, to this day, the Caruth Foundation gives millions of dollars to organizations seeking cures for diseases and donates money to municipal police departments and community development organizations. In 1975, Will Caruth purchased the property and added an assortment of upgrades while still maintaining the original charm of a bygone Florida era. Caruth’s dedication to the plantation’s new improvements were once again realized in 1998 with a $4 million redesign, including an additional $2.5 million invested on hotel rooms the next year. The trend of continual upkeep and renewal at Plantation on Crystal River was reinstated in 2005 with a $6.2 million capital improvement plan, and again with its purchase in late 2010 by investors lead by Scout Real Estate Capital LLC. In January of 2017, Kingwood International Resorts purchased Plantation and has plans to infuse over $2.5 million in capital improvements and room refreshing. The eco-friendly Plantation on Crystal River is surrounded by the natural springs of Kings Bay and more than 25,000 surface acres of pristine lakes and rivers, as well as wildlife refuges and state parks. On site, the Plantation features a full-service family-oriented dive and tour marina, 12,000 square feet of meeting and event space, 27 holes of golf, an Aveda® spa, delectable dining, and inviting accommodations. Guests have the unique opportunity to swim with the manatees (the only place you can in North America), rent a pontoon or Jon boat, relax by the riverfront pool, enjoy a game of croquet on the manicured lawn, or hire a guided fishing charter. With more than 1,600 feet of seawall, overnight guests can tie up their boats at any of over 80 spaces. A golf school and scuba certification classes are also available to guests of the resort. The new ownership brings a new level of professional service, management, and hospitality that further elevates our status as a premiere Central Florida destination resort. It is this unique combination of the esteemed legacy of Caruth and the professional standards of Kingwood International Resorts that make Plantation on Crystal River a destination resort unlike anyplace you've ever experienced. What sets Plantation on Crystal River apart from other area hotels is a steadfast focus on energy, water, and solid waste conservation. 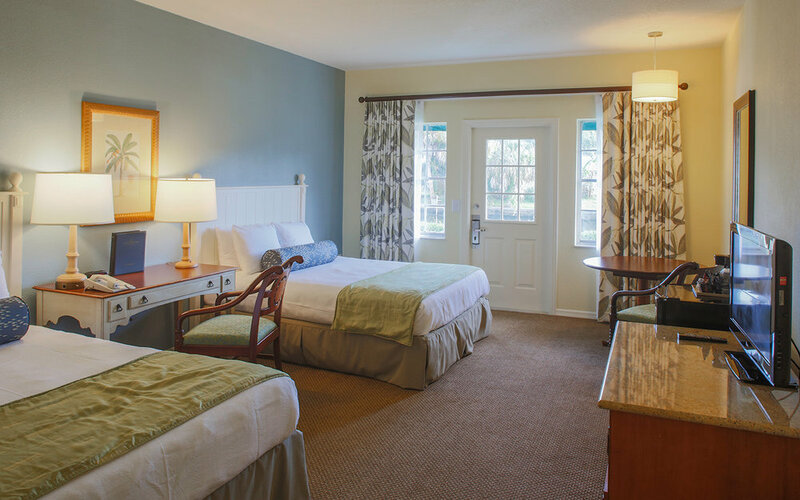 We take pride in our location along the picturesque “Nature Coast,” and the preservation of the natural beauty and cleanliness of our surroundings is a primary tenet of our hotel management philosophy. The eco-friendly resort is a proud member of the Green Hotels Association, a large organization of hotels and resorts across the nation that strive to provide a “greener” hotel experience. In addition to a 135-page resource entitled Guidelines & Ideas, the Green Hotel Association provides a biweekly newsletter filled with the latest ecofriendly strategies for the hospitality industry, which we consistently apply to the way we manage our hotel. We are also a proud member of the Rues Selection of Eco Friendly Hotels Worldwide, a nonprofit organization that is the first “environmentally oriented hotel referral group” is dedicated to supporting the development of independent ecofriendly hotel and tourism businesses around the world. Staying conscious of our environment is what has helped make us one of the best hotels in Florida. Through our commitment and dedication, we can focus on providing a more energy-conscious and ecofriendly Florida hotel experience in Crystal River.